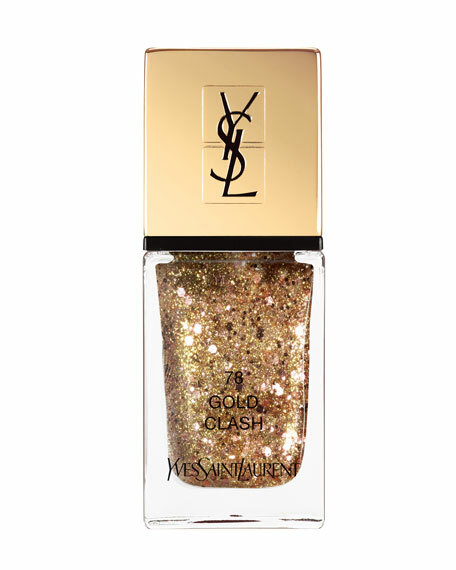 This year, give your holiday look extra sparkle with the YSL Sparkle Clash Limited Edition Collection. The iconic Rouge Pur Couture and Touche Éclat Strobing Light are dressed with gold and silver sparkles while the star of the collection is the must-have Multi-Palette: a collection of daring eyeshadows, lip colors and blush. A new generation nail lacquer that's both elegant and practical is presented in a sleek elongated glass bottle imprinted with the timeless YSL logo. For in-store inquiries, use sku #1967903.